After two years delivering self-written, self-produced knockout pop gems to an ever-growing army of bullet girls and fever boys, FEMME releases her long-awaited debut album ‘Debutante’. Led by glistening new single ‘Light Me Up’, this kaleidoscopic collection takes a journey through high pedigree, female-powered pop referencing sixties girl groups, seventies disco divas, nineties chart icons and modern day bass-fiends. All channelled through FEMME’s singular, modish filter. With the hype machine topping, incendiary singles ‘Fever Boy’, ‘Gold’ and ‘S.O.S.’ also in tow, ‘Debutante’ is a reminder that whether raunchy, heart-breaking, energising or empowering, pop music should always be one thing: fun. 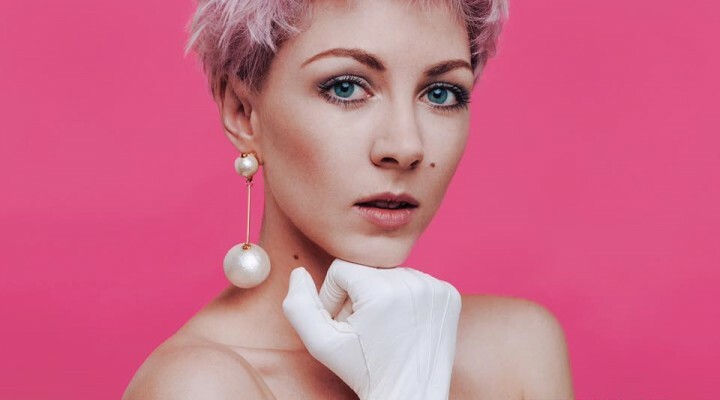 Described as a “one-woman powerhouse’” by Radio 1’s Annie Mac, FEMME is the real deal when it comes to unadulterated artistry. As composer, producer, director and choreographer, FEMME has eschewed major label interest in order to maintain her musical vision without interference. This uncompromising approach hasn’t stopped her mixing with the great and the good: FEMME has toured the USA with Charli XCX, featured on tracks by Huxley, been remixed by NZCA Lines and partnered with Radiohead producer Nigel Godrich for their critically acclaimed Ultraísta collaboration and album. FEMME’s pink-haired, gold-drenched style has seen her hailed by giants of couture too. Vogue declared her “Fashion’s Favourite New Pop Star”, she’s soundtracked catwalk shows by Stella McCartney and been invited to promote new ranges by Uniqlo, BooHoo and adidas NEO. ‘Debutante’ is released on April 15th with the single ‘Light Me Up’ – already picking up plays at Radio One and X – available from March 18th. This entry was posted in Introducing and tagged Debutante, FEMME, FEMME GOLD, Light me up, SOS. Bookmark the permalink.